Gym is a place I never imagined I would be so often. I have a bit of a tumultuous relationship with it if I’m being frank, which apparently is my constant state. Sorry all! I love the feeling after a really energetic session, where I have miraculously found motivation from a Spotify playlist at 6:45am. But I’d be lying if I didn’t also admit to sometimes going for 20 mins and leaving again. Those days happen too. Having had a good nights sleep the night before. Having my gym kit ready to throw on in the morning. 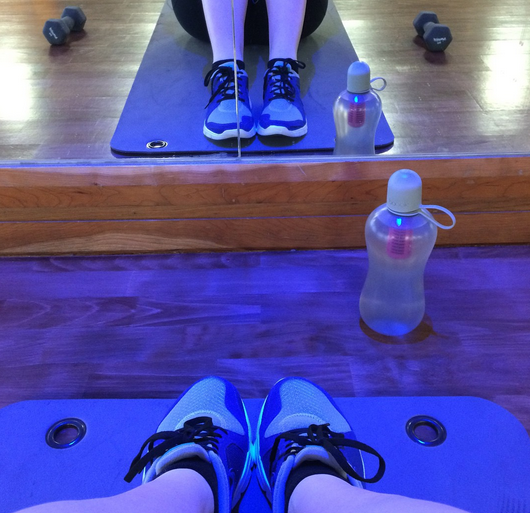 An awesome playlist – Rosie shared her personal gym one with me and that is always my fall back at the moment. Having an idea of what I want to do. I have a Pinterest board of working out things, so I try to take a snoop at that to get me motivated before leaving home in the morning. Occasionally treating myself to new gym kit.